Impedance sensors in thick film technology have been designed as a tool for electric cell impedance sensing. The screen printed gold electrodes and the flexible PET polymeric chip substrate are homogeneously grown with Hela cells as documented by fluorescence microscopy. In contrast to previously published cell impedance measurements, we discuss the use of revised experimental conditions to improve the accuracy of the measurements. Responses of confluent cell monolayers to the treatment with two bioactive compounds are tested: (1) Histamine, triggering a cell morphological reaction and (2) the non-ionic detergent Triton X-100, leading to a complete disruption of cell membranes. 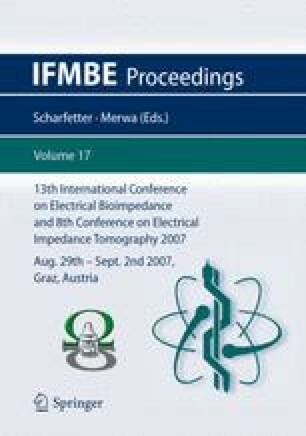 The impedance is measured and compared with a standard, planar electrode arrangement for statistical evaluation.